The "You Eat, We Give" campaign supports young people so they can build their skills and increase their career opportunities. Marriott’s successful “You Eat, We Give” campaign is in full swing between now and October 31st, 2018. During this period, for every lunch and dinner sold, participating Marriott-branded hotels in Europe will donate €1 or equivalent to SOS Children’s Villages’ youth programs. Now in its sixth year, the campaign includes nearly 100 hotels across 20 countries in Europe. The promotion is part of Marriott’s Europe-wide “World of Opportunity” initiative, which helps young people from disadvantaged backgrounds reach their full potential by supporting programs such as those offered by SOS Children’s Villages that provide life skills and vocational opportunities. 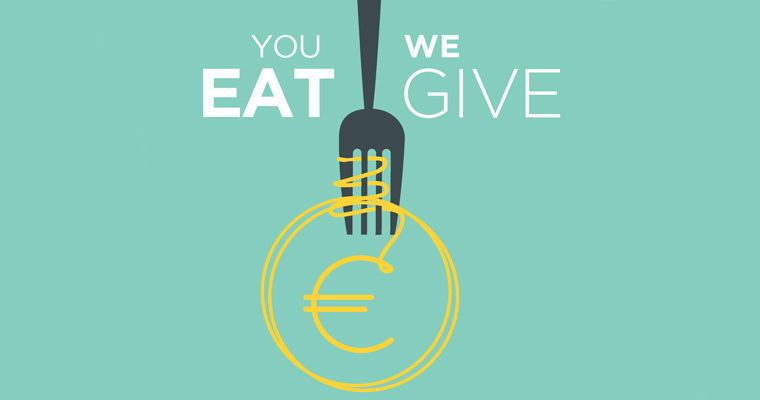 Follow the campaign at #youeatwegive #serve360 #empower and support it by visiting one of the participating Marriott-branded hotels for lunch or dinner until October 31st, 2018.